We have nothing against rectangular shapes, but Feng Shui masters would say round tables (like Aula) create a flow of conversation and good vibes. Your feel-good room awaits. 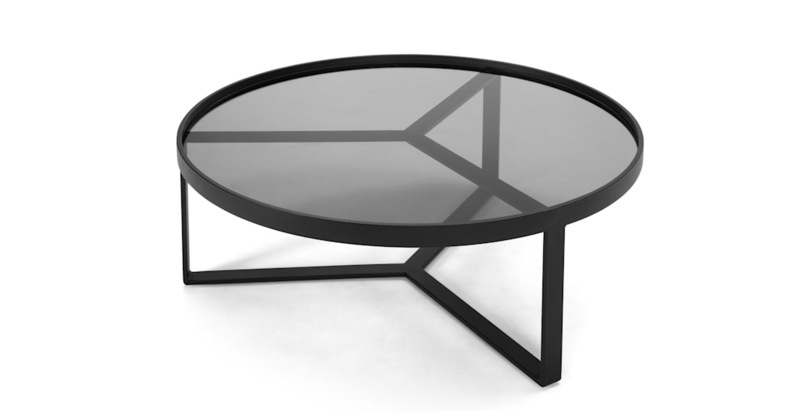 Go for the single pieces or if you’ve got the space, try the nesting coffee tables. The overlapped glass and cut-out metal looks cool and classy.